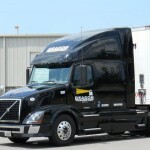 Considering a job in trucking? Great! Becoming a truck driver can be a rewarding career, but first, it’s important to find a truckload carrier focused on the health and happiness of its employees. Make sure to ask the following questions before taking your next truck driving position to ensure you join a company that truly cares about your success. 1. How Much is Your Pay Rate? This is one of the most important questions you will ask, as you want to make sure you are fairly compensated for your time and effort. Most trucking companies pay their drivers a per mile rate, which increases with experience. Sometimes additional pickups and deliveries are factored into the pay plan, so make sure to ask about the entire pay plan, not just the mileage rate. 2. What Benefits Do You Offer? 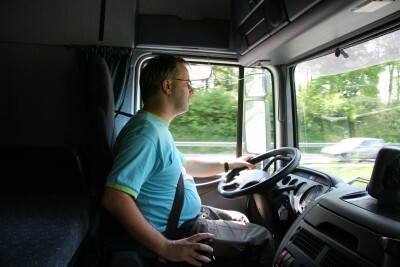 In addition to pay, many trucking companies offer additional benefits to their drivers. Questions to ask include: Does the company offer a 401k retirement plan? Do you offer an affordable health and dental insurance plan. What is your policy on vacation time? Learning a company’s history is helpful in forecasting its future success. A company with a solid history generally has the ability to manage the ups-and-downs that occur in the trucking industry as a result of economic times. Find out the brand’s legacy to determine if it is a good fit for you. Learn about our history here. 4. What Do Other Drivers Recommend? Make sure to ask other drivers what companies they recommend. There’s no better way to find a prospective trucking employer than to ask fellow drivers who have put in the time themselves. 5. What is Your Company’s Position on Safety? What is the company’s stance as far a safety goes? Trucking companies are endowed with the responsibility to keep the roadways safe for all drivers. Find out what the company’s CSA score is, the lower the better. A company with a high CSA score will be subject to more inspections and compliance reviews. 6. What is Your Policy for Home Time? The majority of companies have policies in place stating the expectations for the amount of time a driver must be out on the road before taking time off as well as how much time off they receive. Make sure to learn those expectations to ensure it’s what you want in a job. 7. Do You Offer Local or Regional Runs? Some companies offer local, regional or even dedicated runs. This allows for a more consistent and predictable home time. Because of their desirability, these jobs are in higher demand and, therefore, often performance is factored in to the selection process. Once you’ve discovered a company that provides the pay, benefits and work environment you are seeking, you can be sure you are making the best possible choice. Beacon Transport truly values our drivers and offers competitive benefits, such as health insurance, 401k, and a passenger policy. Visit our “become a driver” page to learn more about our truck driving jobs in Nashville, TN, or contact a recruiter today at 877-277-0238 Ext. 231.